I chose this book as I wanted to learn more about an area of the world that has been at war for as long as I can remember. 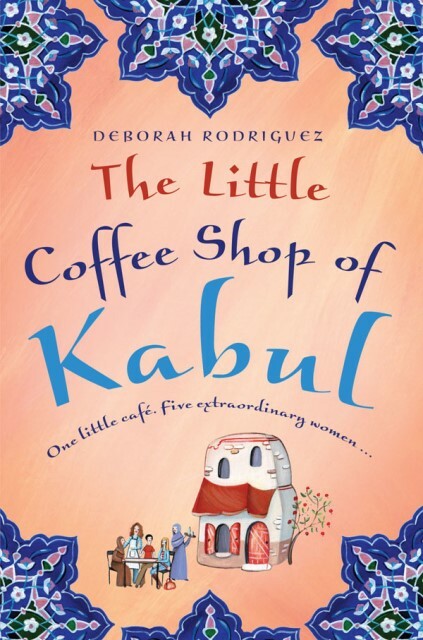 Deborah not only lived in Kabul, but she was married to an Afghani and her intimate knowledge of Afghanistan and it’s customs shines through in every page. This is more than a story about 5 different yet incredible women. Yazmina, the country girl dumped in the city, pregnant, religious and a widower, her future uncertain because of the laws of Islam. Halajan, a Kabul native who is bound by these same laws but who longs for the days of freedom and quotes Rumi from memory. Candace, an American whose knowledge of how the better half lives helps her in raising funds for Afghani children and women. Isabel, a journalist on a mission to save herself by saving others. And Sunny, the American who has escaped from her ordinary life to Kabul, and who will bring these women together and create a future none of them knew was possible. First published in Great British in 2013 by Shere. Paperback. 408 pages (375 novel). I loved learning more about a country and culture foreign to me. This is a love story interwoven with tragedy and perfect holiday reading. This sounds like a really fantastic read Tandy, and I love the way you have constructed your review around the characters. I am looking it up on Book Repository as I type! I think that this is another for my “must read” list! Thank you for a great review. Wow, her life must be so interesting! This book had me at the title! It is a perfect read! Sounds like a charming read, Tandy! I think it sounds like a great read. These books are my absolute favourite, thank you for another great read! I so want to read your review but the screen has gone all quirky on me 🙁 My mum is reading this book and raving about it, so I may have to wait now to read it myself!